At Darren James Interiors we provide a total and seamless solution for your home design and renovation needs, integrating our interior design services with individually handcrafted joinery and professional construction services. We understanding the important relationship that all of these disciplines have in creating a cohesive and unique design solution that reflects our clients lifestyle and personality. JEFFRIES STUDIO offers design services on all manner of residential projects, fromwindow dressings & furniture selection, new bathrooms, ensuites & kitchens, to complete house refurbishments & extensions. With acute attention to detail, Lucy's design work is timeless yet modern, and at once pared back, warm and eclectic. JEFFRIES STUDIO projects are always designed with 'real life' at front of mind. Queensland Interior Design & Decorating studio that is passionate about finding sustainable eco-friendly design solutions to help create the spaces we live in. Interior Design Studio offering clients a full range of design & decorating services catering to all budgets. 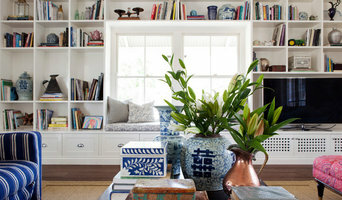 Specializing in renovation projects on Queenslanders & creating Hampton's, Coastal & French decorating/design styles. Interior Design Studio & store open by appointment. Boutique Residential Interior Design Business in Brisbane - with over 10 years experience in the industry. Back To Back Interiors constantly strives to provide high-quality affordable service aiding our valued clients with value, saving time money and stress. “Making the most of what we already have or creating new spaces” Welcome to Back to Back Interiors, established in October 2006. We take great pride in listening to our clients to create your Home or Office space that is a true reflection to yourself and your personality that not just represents appeal it is also practical to help bring your dreams to life. Guiding you through the entire process step by step from start to finish ensures you complete satisfaction and control aiding in any chances of mistakes for greater end results. . My journey started from humble beginnings at were else in my Parents’ home at a very Young age helping my mother with her Art and painting aided myself to engage with the fundamentals of colour form and design. With my father a musician I was destined to become involved in a creative field this ignited the passion and drive I have to day. Furthermore we moved to Brisbane and started working with a lovely lady within curtains and soft furnishing were I made in home calls aiding clients with their selections of curtains and soft furnishings. My employer at the time praised myself on my strong abilities with colour, design and overall concepts strongly suggested to follow my talent in hence I went on to studies in interior design completed my diploma in interior design as well as Textiles and soft furnishings. Following my Journey I meet my partners construction business were I aided with designing houses and interior design alongside full interior selections with project management. Incorporating hands on working with the tradies when we were short staff with trades hence forth new hat part time trade. After many years working long hours and days with the building and construction business we separated I found myself out of work still with a drive for Interior design and decorating and my bank account was looking grim. I landed the opportunity working for a large bedding company as Manchester purchasing officer and chef buyer for their showroom furniture and loved every minute. Still yearning to grow my product knowledge in lighting and flooring I worked with various suppliers of flooring, lighting and bathroom ware product. Then formed my interior design business helping my clients with my skill sets learnt upon the way. About I Inch Studio Inch is a diverse Brisbane based interior design practice with a strong focus on boutique residential and multi-residential projects. Headed up by local designer Carolyn Cunningham, Inch lives and breathes interior design. We take an enormous pride in creating affordable, well resolved spaces inspired by the personality of each client. We love sharing our passion for interiors and feel communication between both client and designer is paramount to delivering unique spaces that you will love. Services range from colour consultations, interior decorating and styling, right through to the full selection of exterior and interior finishes including full joinery and spatial design. We work closely with architects, builders and all contractors throughout the entire design process. About I Carolyn Cunningham - Director Carolyn’s passion for interiors started at a very early age by regularly giving up her weekend playdates for visits to the local display homes with her mother. With nearly 20 years experience in the design industry, Carolyn feels lucky that she can wake up every day doing what she loves. After completing her studies in 1998 and working with some of Brisbane’s most well respected designers, Carolyn co-founded her own interiors company, Harward+Brown, in 2001, giving her extensive experience across a broad range of projects including residential, multi-residential and commercial projects. After leaving Harward+Brown in 2011, Carolyn has now embarked on an exciting new adventure called Inch Studio. 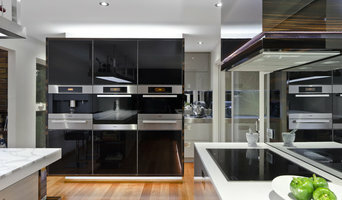 Brisbane based Interior Design company for both residential and commercial projects. 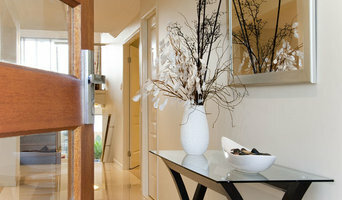 Delivering beautiful spaces that are tailored around the clients way of life, their style and individual needs. 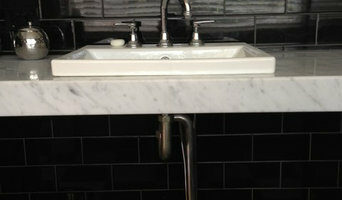 Great design is creating amazing spaces that reflect who you are and how you want to live. A boutique interior design firm offering comprehensive design + decorating services across Australia. Studio SK specialises in Interior design and styling of inner city residential properties. From minor changes to full makeovers, Studio SK can tailor a cost effective design solution for clients wanting to transform their properties into modern stylish living environments.